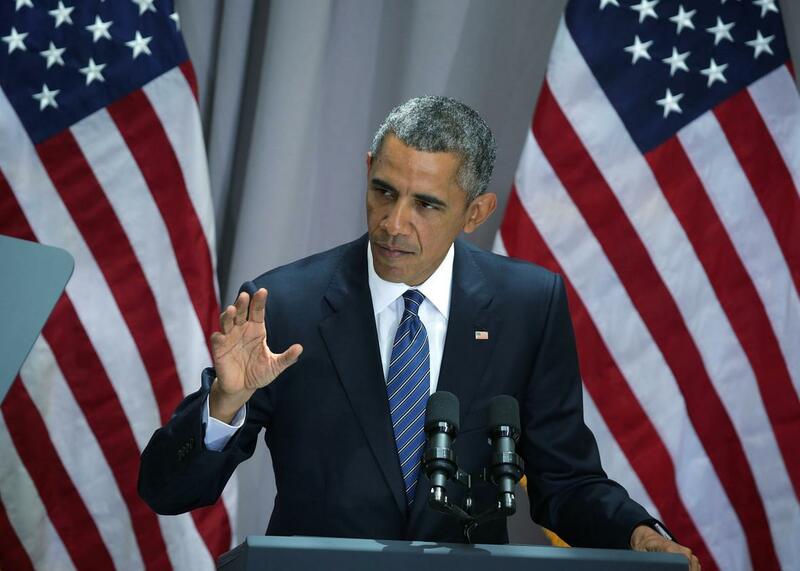 President Barack Obama speaks about the Iran nuclear agreement August 5, 2015 at American University in Washington, DC. President Obama continued his ongoing sales pitch for the Iran nuclear agreement today with a speech at American University that took sharp aim at critics of the deal in Congress and invoked the legacy of Cold War nuclear diplomacy. “I’ve had to make a lot of tough calls as president, but whether or not this deal is good for U.S. national security is not one of those calls. It’s not even close,” he said. Obama borrowed a few themes from Kennedy’s speech. Just as Kennedy argued that “no government or social system is so evil that its people must be considered as lacking in virtue,” Obama made the case that “just because Iranian hardliners chant death to America does not mean that’s what all Iranians believe.” Obama’s address may have lacked some of Kennedy’s grandeur—his zingers at Republicans weren’t quite as bold as the 35th president’s call on Americans to “reexamine our own attitude, as individuals and as a nation” toward the prospect of peace—but it was overall an exceptionally effective sales pitch. With the White House getting very close to the number of Democrats it needs to protect the president’s veto, it could be just enough.